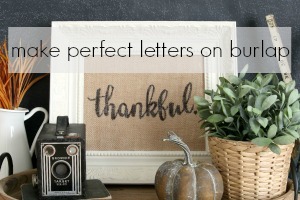 As a home decor blogger, I get lots of questions about the products that I use in my house. One of the most asked about products is our flooring. Nearly two years ago, we replaced the flooring in the entire front of our house and put down a laminate floor product. 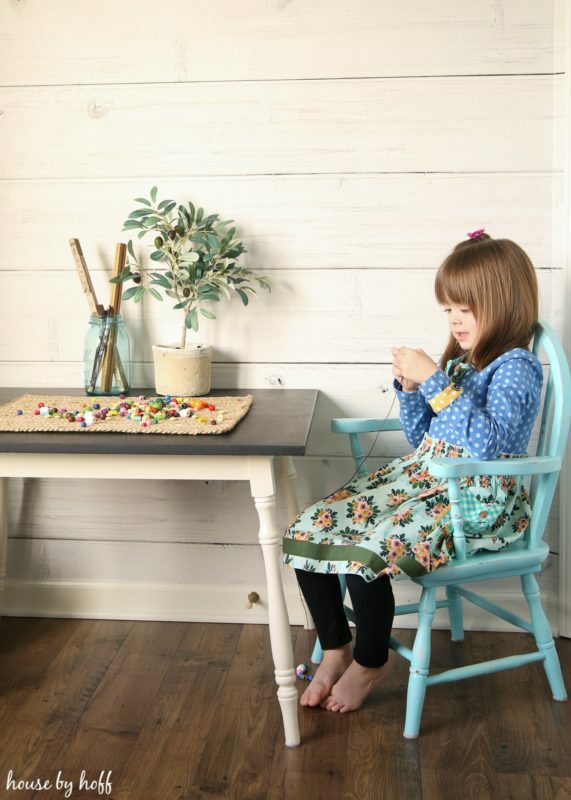 Today, I’m going to give my honest opinion about our choice to use laminate floors in the kitchen, eating area, living room, hallway, and playroom. 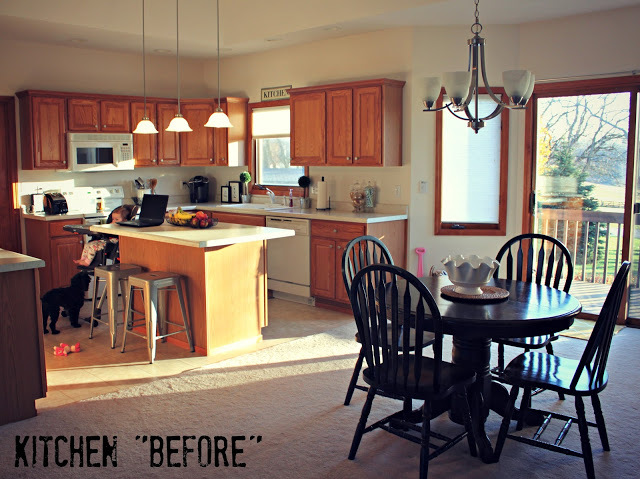 So, let’s rewind for a minute….When we moved into our home five years ago, the flooring situation was less than ideal. We knew that we’d eventually want to replace the linoleum floors in the kitchen and the white carpet that was everywhere else. 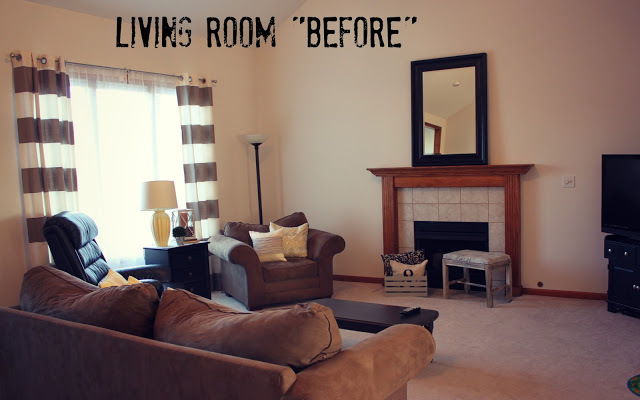 Here are a few “before” shots to show you what I’m talking about. Yikes! So, as you can see, the flooring needed to be replaced. (As well as many, many other things!) I always hated the look of the cheap linoleum in the kitchen, and the white carpet was impossible for me to keep clean. I’d vacuum the entire house 2-3 times a week, and even then it looked terrible. Our shoes would leave footprints in the carpet, we spilled coffee on it more than once, and our dog would track in dirt and grass from our yard constantly. It always looked terrible, and I was SO over it. When we first started talking about replacing the floor, I knew it was probably going to be laminate wood flooring for the win. 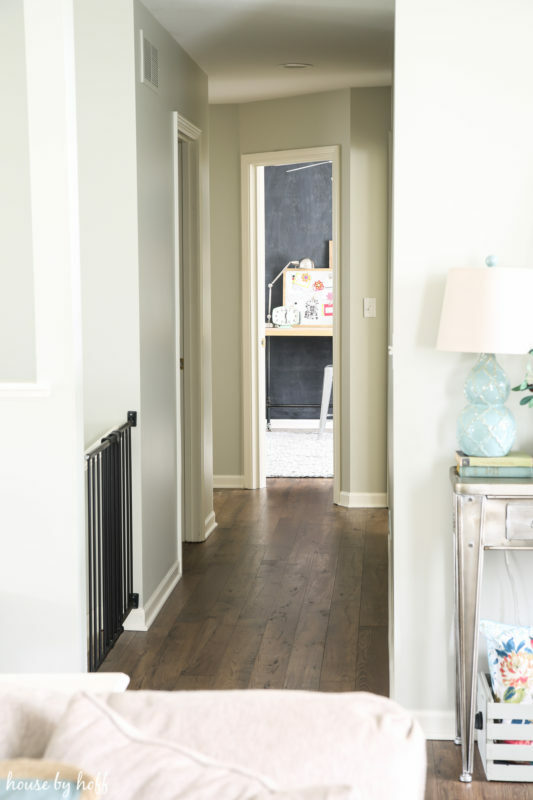 As much as I would have loved to do hardwood, we were replacing SO much flooring, and I knew that laminate would be much more budget-friendly for the look I wanted. 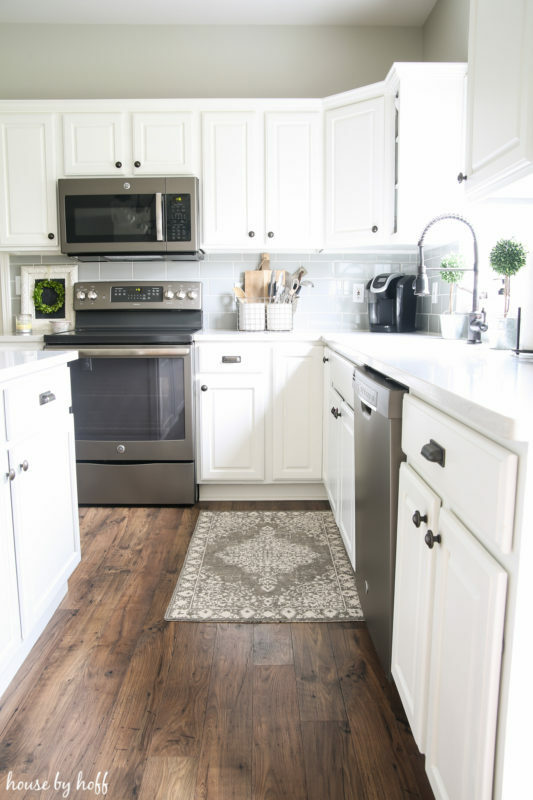 How do laminate floors do in the kitchen? My honest answer: They do great! 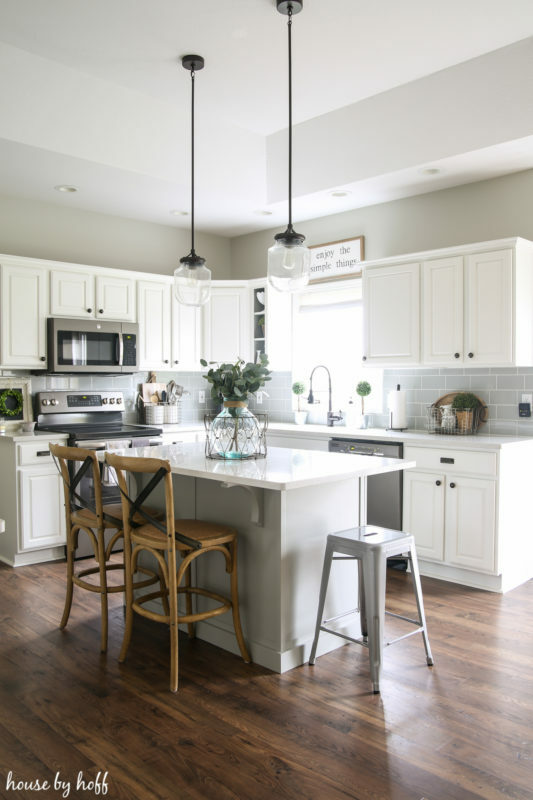 We do not have a problem with moisture, and I definitely make sure to wipe up water off of the floor as quickly as possible, but we have found that our flooring is very durable and well-suited to our kitchen. My daughter, like most five-year-olds, spills on it all the time, and it’s very easy to wipe up. The kitchen is obviously one of the most-used areas in the house, and we have not noticed a bit of wear in here. They look as new and as nice as the day they were installed. Ok. Well, I am not a flooring expert, but I think it does look and feel real. We chose a product that has a lot of variation of color and texture. It has a rough, wood-like texture, and there is a lot of variation from plank to plank. When people come to our house, they ask if it is real wood or not, so I don’t think most people can tell a difference. What kind/brand of flooring is it? 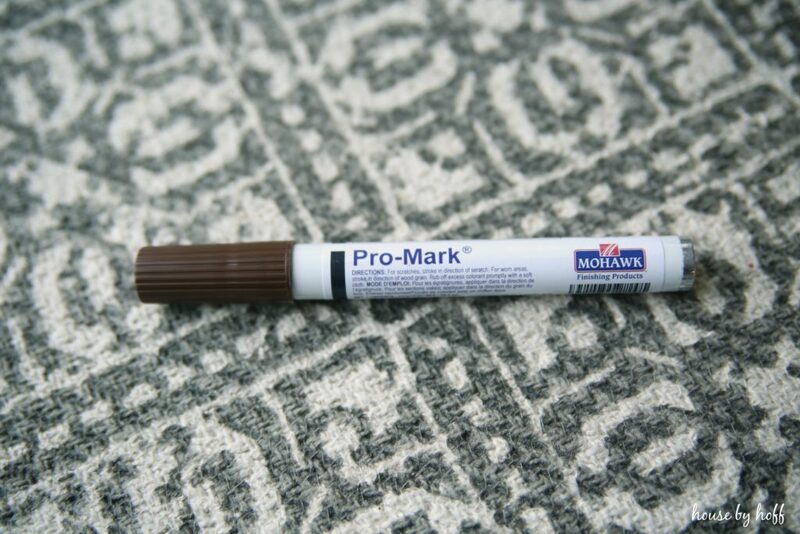 Our floor is a laminate product by Mohawk and the color is called “Toasted Chestnut.” That’s about all I know….ha! So, hopefully, this answers some of the questions you may have about our flooring. To sum it all up: I am very happy with our decision, we have no complaints, and it has been a very durable and beautiful choice for our home! This post is in no way sponsored, and these opinions are completely my own. The color of your flooring is beautiful! I love laminate that looks like would because you don’t have the problem of worrying too much about water on the floor in the kitchen. Obviously you don’t want to keep standing water on it, but it will buckle much slower than real wood if there is some sort of water leak. Plus it just looks great! 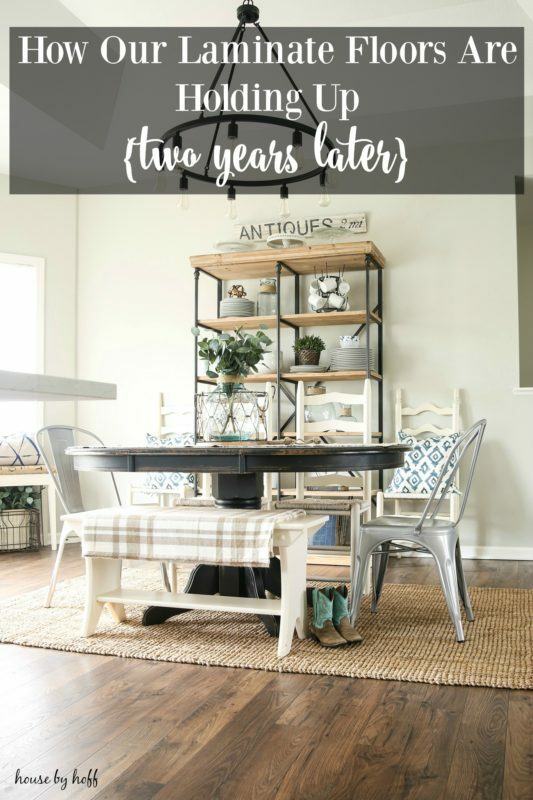 Love this post as I have been debating between laminate and hardwoods for our future next home! We have hardwood in our current home but it scratches and gets beat up SO EASILY. We had laminate in our kitchen before we installed the hardwoods, and I always think back to how durable and beautiful they were (even if they were NOT the right color and texture!) I also agree they are so well made it is hard to tell the difference between laminate and wood anymore anyway. Thank you for this post! Just what I needed! hey girl – love the floor! so pretty! 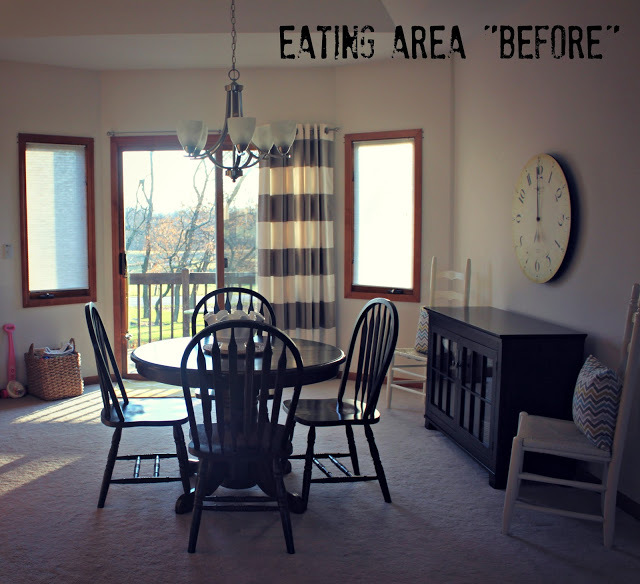 We have laminate flooring in our kitchen, breakfast nook and mudroom. We like it, it holds up really nice! Your flooring is beautiful! I usually don’t like laminate but your color/style is so nice! We put in engineered hardwood (partially) almost 2 years ago and it’s been great!! You just don’t have to do hardwood anymore. Looks great. Can you tell me about the shelf in dining room? can’t seem to find a blog on it. Thank you. Thank you so much for posting such cool stuff on here!! We have recently purchased a house and will be replacing all the carpets with Laminate. I was jet set on wood but with 3 kiddos, 3 dogs, and life Laminate is just the best decision for us. I love the color of your floors I was just wondering how they do with showing dust/and or pet hair. They look like the perfect mix of light and dark..Id just like to know from someone who has them:) Thanks so much for all your info. I believe found it! Do you know where you purchased your’s? We purchased from a local flooring company called Jimelle Flooring in Auburn, IN. A few weeks ago we had our ice maker line leak and destroy a good portion of our kitchen floor. I have searched and searched and ordered so many flooring samples (I could probably patchwork an entire room of floor with as many samples that I have) to no avail. 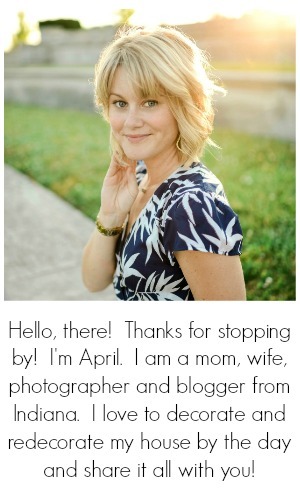 It wasn’t until I stumbled onto your blog and this post that I finally found exactly what I was looking for. I loved the look of your floors so much in these photos that I went to my local flooring store and ordered them today! Thank you so much! You can’t imagine the amount of relief I have now that the search is over, lol! These are absolutely beautiful floors! We are building our house right now and I knew I wanted laminate even though I grew up in a house & my grandmother’s house was all hard wood. 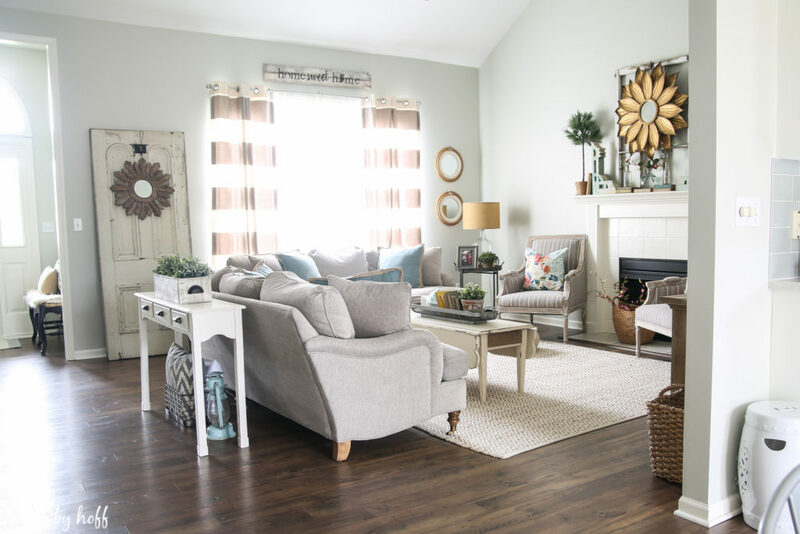 My family would just look at me like I was nuts when I would tell them I am CHOOSING laminate but this blog definitely helped me reinforce my decision & opinion. I do have one question though.. did you install them yourself? or did you hire someone? My husband and I are planning on doing the installation our selves (also an open floor plan, throughout kitchen, hallway, eating area & living room) so it will be quite the undertaking but we are trying to find any way to save money. I was just curious who installed yours & if you have any hints on that if you did it yourself! Thanks!! Do you have any idea which type of Mohawk floors these are? Mohawk Barrington or Mohawk Bayview maybe?? Amy – I reached out to Mohawk to understand the difference and they told me pretty much the difference is in who sells them. Hope that helps! Love the floors they are beautiful! Can you tell me where you got the throw rug in your kitchen? Thank you! Love the rug by your sink where did you get it? I just found your white kitchen and wood floors and love the look! I have one more question about your floors, are they light enough they don’t show dirt or do they still need swept up a lot? I love your floors! We got the same ones last year! What do you use to clean them? Thank you so much! 🙂 We live in Indiana where there is a mix of heat/humidity in the summer and cold/dry air in the winter. So far it has held up beautifully. How do you clean these floors? Hello! 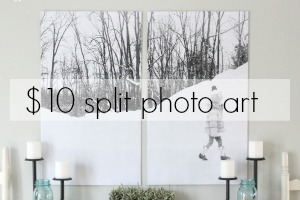 I love your style and the way you captured your living spaces through your lens! 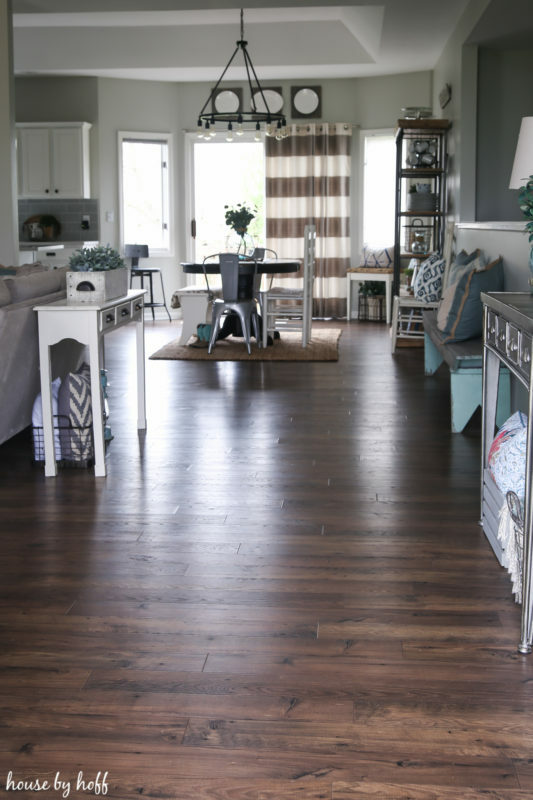 Question… did you run the laminate floors under the cabinets and appliances? LOVE your house! Where is your kitchen table from? Thank you so much, Teresa. It’s a hand-me-down from my in-laws, which makes it impossible for me to source for people…sorry about that! Hi, Your flooring is beautiful! From the sample shown of this type flooring, it looks more plain than your pictures. Are there plenty of golden/reddish brown tones as well? thank you. Just curious…Do the laminate floors have a pad attached? Thank you for sharing! Since I did not install them (we had them professionally installed), and was gone the entire time they were being installed, I have no idea. I’m sorry I could not be of more help! I love your kitchen! Are your appliances black stainless? Is the finish holding up well? Thanks! HI- I’m hoping you can still read comments on this post…. I have looked for this flooring and only found Toasted Chestnut, not Roasted. Is that was you used? How do you feel about the sound it makes? I’ve heard that laminate has a hollow sound and is very loud when you walk on it. I’m wondering if that’s the older type of laminate or if this type also has that loud sound. Thanks for your time! This post was so helpful! 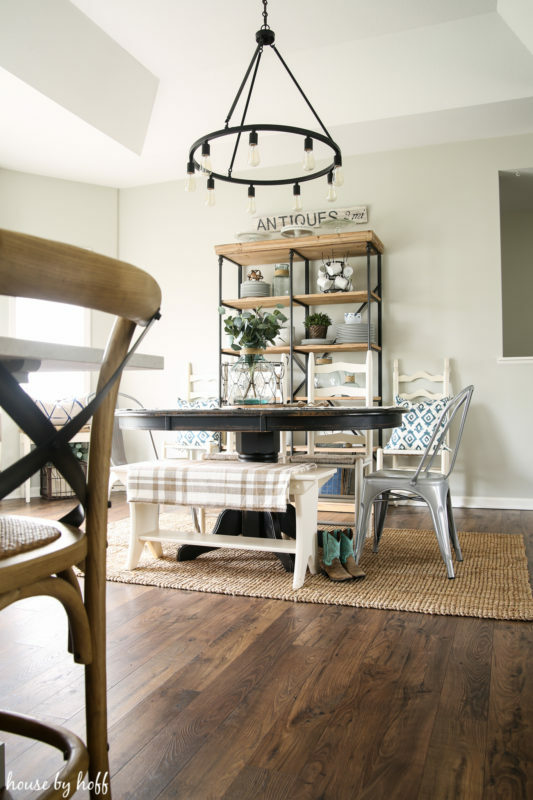 I have been looking for flooring and, like you, like the seamless look of all one floor; hardwood was a very expensive option, hence why we haven’t done it. This floor is EXACTLY what I am looking for and its laminate, I am so impressed. I actually think it is nicer than most hardwoods I have been looking at! THANK YOU for sharing! !